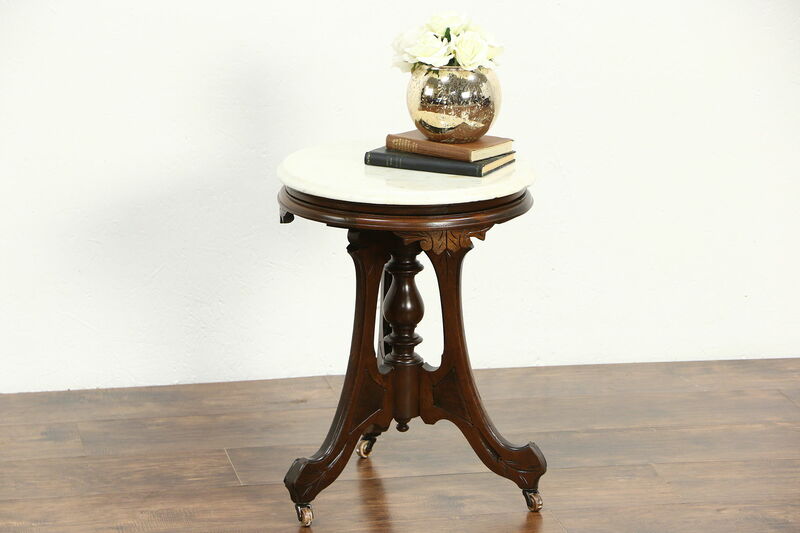 A Victorian round marble top table from the 1880's is a functional chairside or pedestal table. The marble has stains, see photos, and has been polished and sealed for protection. Solid walnut with burl panels, the sturdy hand carved pedestal base has an excellent restored finish on this American made antique furniture. Measurements are 16" diameter and 21 1/2" tall.